It is said that – “If anywhere there is paradise on the Earth, it is in Kashmir” and once you are here you will know that the statement is not an exaggeration. This stunningly beautiful place has lush high-altitude valleys rimmed by layers of alpine peaks, meadows, apple orchards, chinar trees, lakes and what not! Once you are here you will realize what you had been missing your whole life till you visited Kashmir. In fact, the whole world can be divided into two sets of people – those who have seen Kashmir and those who haven’t. 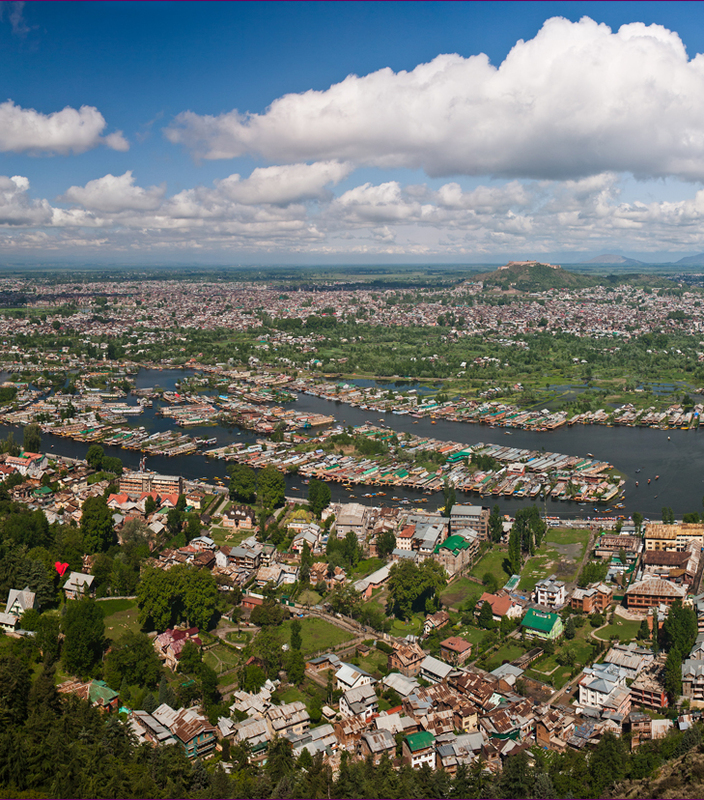 Srinagar, the main town of the region is known for its beautiful houseboats, manicured Mughal gardens, unique Kashmiri wooden mosques and mild summer climate. Dal Lake is the main attraction of Srinagar and with its colorful houseboats it offers a picture perfect scenery straight out of a postcard. Gulmarg, literally meaning ‘meadow of flowers,’ is a ski resort, located 57 km from Srinagar. On a clear day it offers stunning views of the Nanga Parbat, the ninth highest peak in the world. Gulmarg is also famous for its gondola cable car ride that takes you to an altitude of 3747 m. The place also offers some fine trekking and mountain biking options in the spring and summer. Sonmarg, located not so far from Gulmarg, is known for its quiet meadows, stunning lakes and towering snow clad mountains. Located 95 km from Srinagar is the town of Pahalgam, which offers rafting and trekking opportunities. 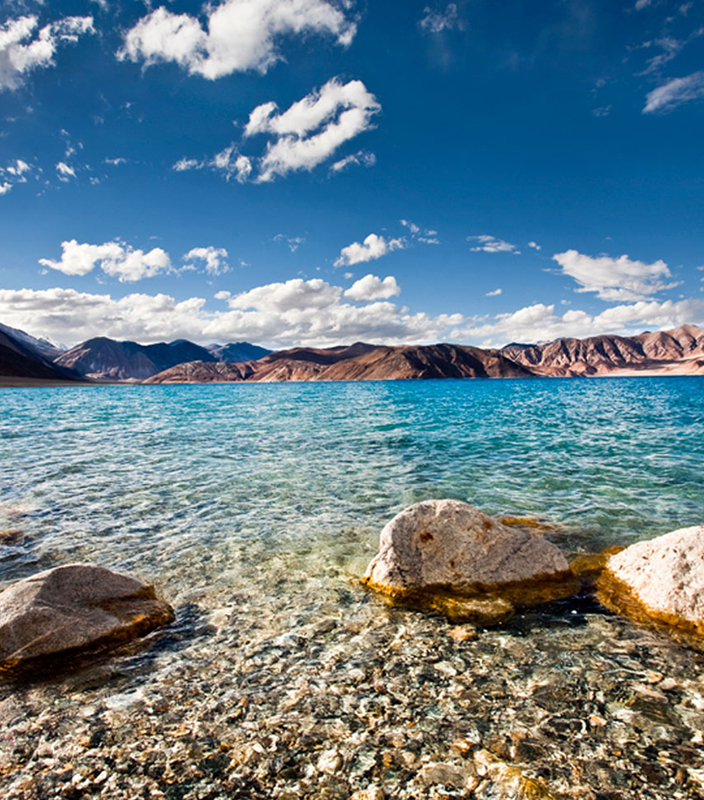 The Ladakh region is known for its sheer rugged beauty and distinctive Buddhist culture. This land of stupas, gomphas and mud-brick houses offers many adventure sports options. You can do river rafting, go on treks or on jeep excursions to Tso Moriri or Pangong lakes. Our Kashmir tour packages will let you explore Kashmir as it should be.